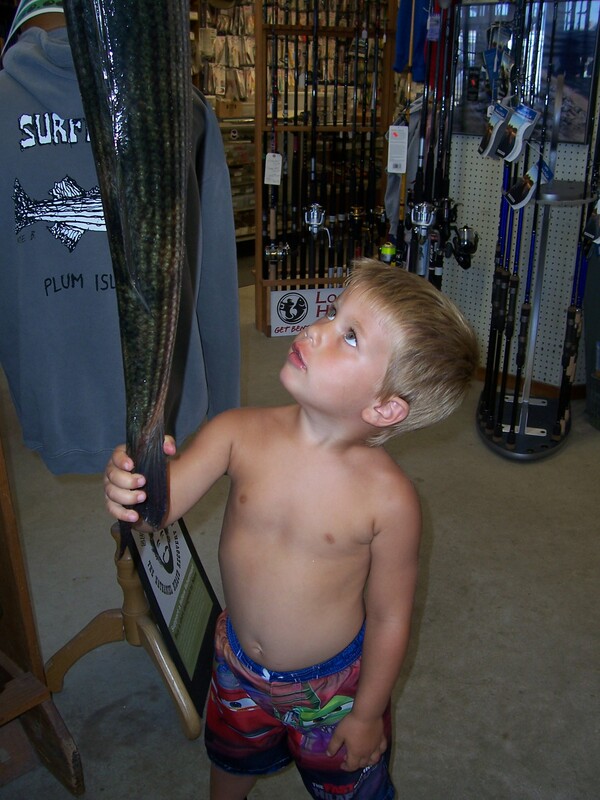 Surfland Bait and Tackle – Plum Island Fishing » Third generation fisherman!!! Well we have a third generation fisherman now on our boards. Kaiden Fowler has caught his first keeper today! 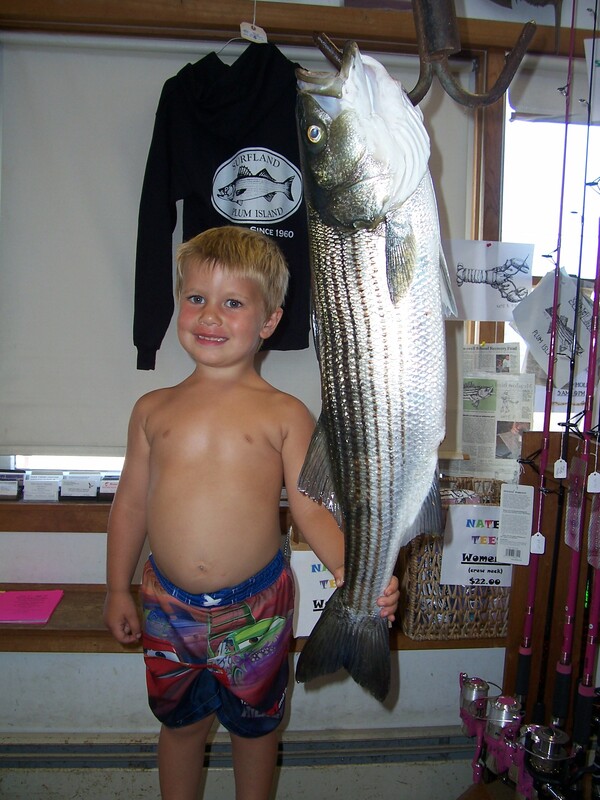 Kaiden is grandson of long time Plum Island resident and avid fisherman Mark Gallagher. And not only that, Kaiden is the son of our very own past employee Kerri Gallagher. She worked here for many years, some of you will remember her. She put a lot of you men to shame. Her father taught her well. Now it will all be passed down again……………… Kaiden caught his fish as he said “on a hook”. On that hook was a chunk of mackerel. They were fishing from their boat inside the Merrimac River this afternoon.